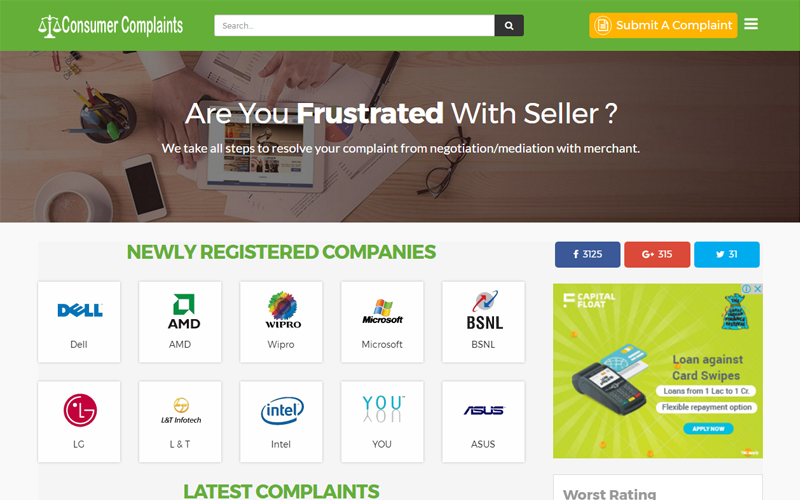 Consumer complaints website is one of the important business to run in this digital era. According to a study, more than 65% of the people look at the reviews and the complaints before buying the product. The consumer complaints are important to identify the key areas for the improvement of vital services. The greatest advantage of this script is that it can be used for multi-purpose concept; either for a general consumer complaints or it can cater the needs of a specific industry. Some of our customers are lawyers and doctors as they need to deal with their consumer complaints to help them improve and run their business in a better way. Our script enables you to create unlimited categories and sub-categories through the admin dashboard. The Consumer complaints clone script is developed with SEO-friendly coding technique so you need not worry about the visibility of your website in search engines. The entire code has been developed in accordance with Google standards so it can be found through search engines in a more efficient and a fast manner. It is developed with the highest security features and high speed loading capabilities. Our Consumer complaints clone script has several revenue models; these revenue models are one of the greatest modules that make this script feature-rich. It has Banner advertisements, Google Adsense and logo listing for the websites owners. The various other features that make this script unique are social sharing and social media login which makes the users to connect easily. If you still have any more clarifications, feel free to contact us. We will be glad to help you out. Complaints management, Email option, Profile management, Complaints status( Pending, Resolved ), Add Company details, User management, Company management, User management. Consumer Complaint Clone Script is coming as per my expectation. It makes me to rectify my mistakes and now am getting multiple revenues. Greeting from my side. This script makes my company to top and accessibility of the peoples is high by using. Thank You support team for your service. Consumer Complaint Script has unique features to improvise our business in a effective way. Extra-ordinary user interface design from your team.